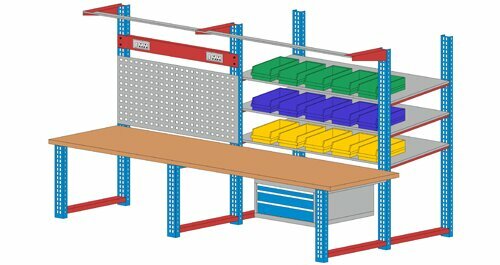 Maxstor is sole leader in manufacturing and supplying the Modular Workbench and Workstation in India. 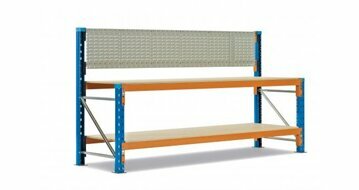 Idea behind the modular workbench is to make it cost effective and economical. It is to meet every ones pocket. 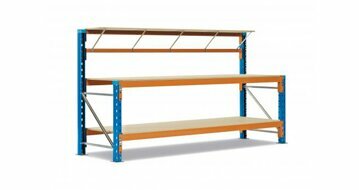 Modular workbench and workstation are completely customizable, it is purely tailor made. 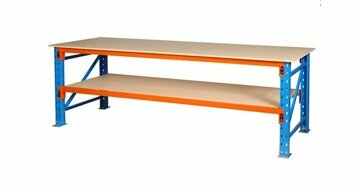 It has general 1.5mm thick slotted C Channel, which is not only use for making modular workbench but as well as racks, trolleys, frames and many more. 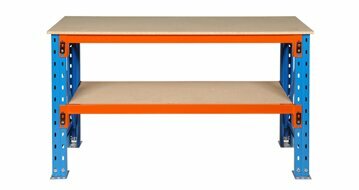 This 1.5mm thick slotted C Channel helps in making frame structure, where you can place other optional accessories such has bench top, overhead tube light & perforation panel with tool holder hooks, adjustable shelf. 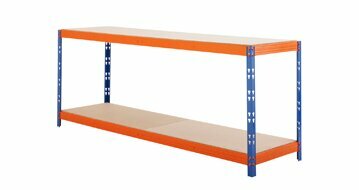 Modular workbench can also have drawer cabinet with partition and divider to keep the tools & inventories in organised manner. 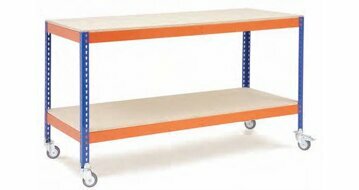 Modular workstation can be made portable or mobile by placing caster which will be very efficient in moving from one place to another. There are wide range of casters to suite different type of flooring.